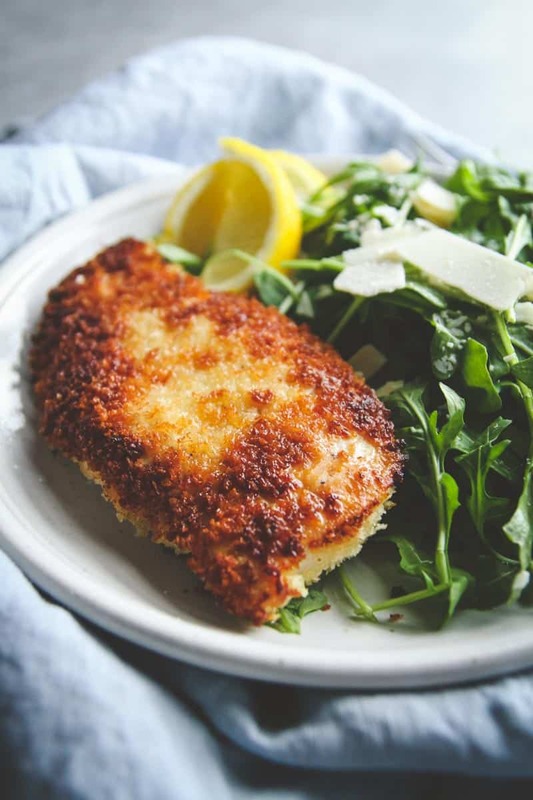 Crunchy crispy thin chicken, cooked to perfection with arugula, parmesan cheese, and lemon makes for a delicious salad recipe. 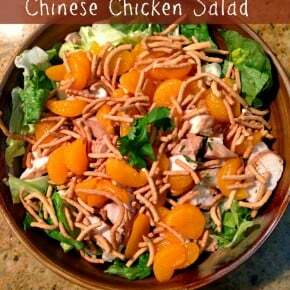 As the summer weather starts to warm up, there’s nothing better than having a fresh salad. When it comes to salads, I’m super picky. If it’s not the right texture/flavor/ingredient combination, I just cannot bring myself to like it. It’s a joke with my in-laws, they always give me a hard time about not liking salads, so if I do eat one, they all comment and KNOW I really enjoyed it. It may have something to do with the face that I like certain leafier, more flavorful greens (like in this spinach salad with soft boiled eggs, bacon and a mustard vinaigrette) but it wasn’t until I ate an arugula salad dressed with lemon and parmesan cheese shavings that I knew I needed to recreate it at home. The dish I had was actually a pork schnitzel that came with a little bit of arugula and parmesan on it, and then a lemon wedge on the side. Everything together was delicious, but I wanted to make it at home with a few modifications – mainly, to make it into a salad with chicken and more arugula. 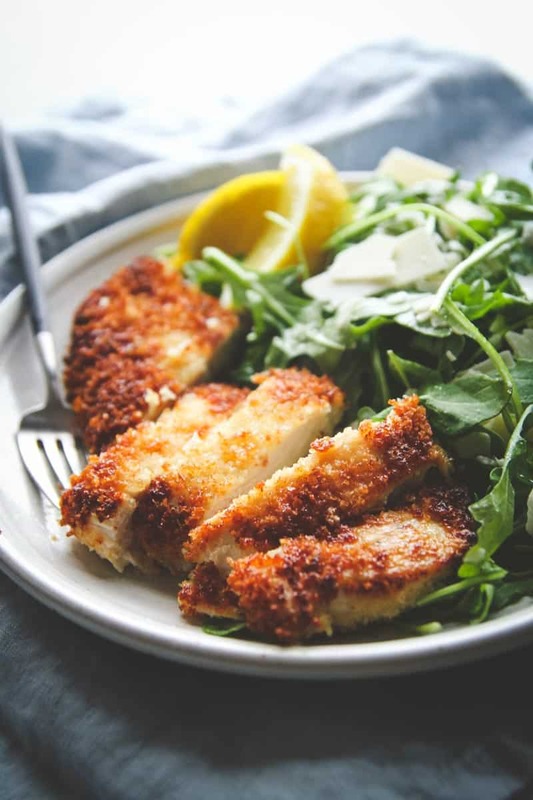 The end result was absolutely amazing, a crispy chicken and arugula salad recipe that I am going to be eating all summer long! 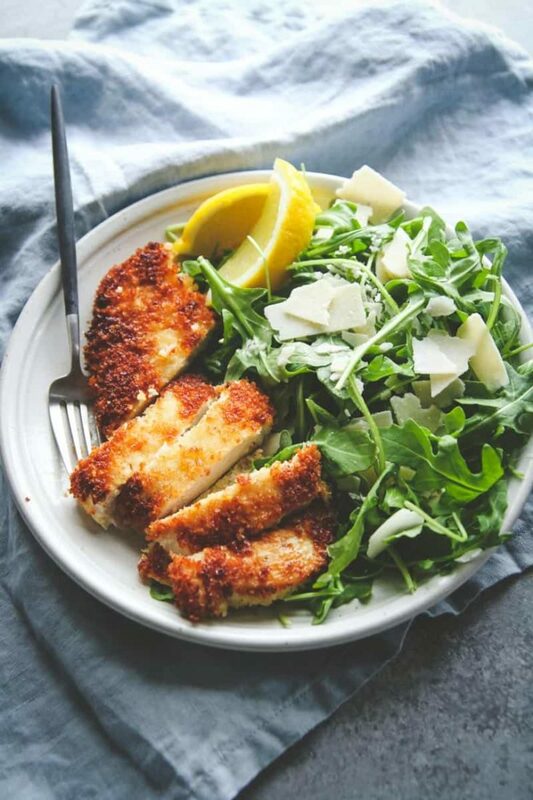 To make the chicken, you can either buy thin chicken breasts, or buy regular chicken breasts and pound them to be thinner, then coat them and fry them and serve the crispy chicken with arugula and saved parmesan and squeeze a lemon wedge over the arugula as dressing…YUM!!! In a shallow bowl, combine egg, Dijon mustard, garlic salt, salt and pepper and stir, then add chicken and let marinate for 1/2 an hour, or up to overnight in the refrigerator covered in plastic wrap. In another shallow bowl combine panko bread crumbs and pinch of salt and pepper. Pour 2 tablespoons vegetable oil into a large skillet over high heat for 1 minute. 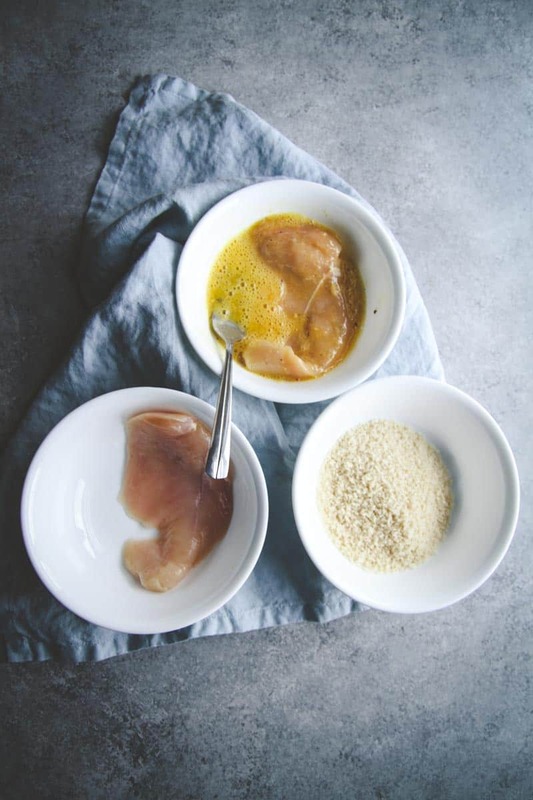 Dredge chicken through bread crumb mixture and pat on breadcrumbs to make sure both sides are covered, then put into the heated oil in the skillet. Repeat with chicken, adding it to the skillet to fry (do not over-crowd the skillet, fry the chicken in batches if you need to.) Turn the heat down to medium-high, and cook for 3-4 minutes until a golden brown crust forms, then flip the chicken and cook for another 3 minutes, until cooked through and golden brown. Remove chicken from skillet and put on a place on a plate until all the chicken is done cooking. 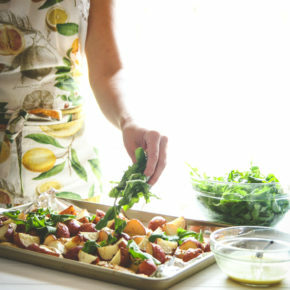 To assemble the salads, put 1 1/2 to 2 cups arugula in a bowl, sprinkle 1/8-1/4 of a cup (2 generous pinches) of shaved Parmesan cheese on top of the arugula, squeeze one lemon wedge over the salad, and place one lemon wedge on the side of the plate and place one chicken breast on top and serve! Any way to make chicken breast more exciting, I am SO in. This looks delicious! hey girl- this looks so tasty! I’m picky about salads to! Hope your doing good! 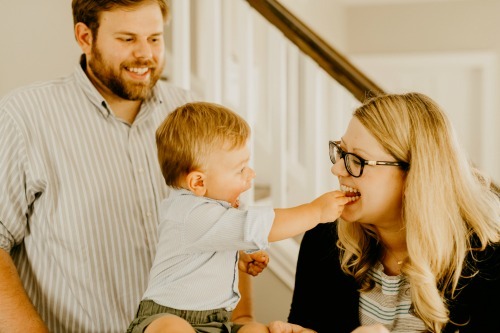 Thank you so much – funny thing about this salad is that my husband and I went to dinner last night and they had something exactly like this on the menu lol! And I’m doing good… time is ticking until my due date, I cannot wait, so excited! Panos has been bugging me to try this one out the moment he shared it on G+:):):) AWESOME, delicious meal dear Phi! 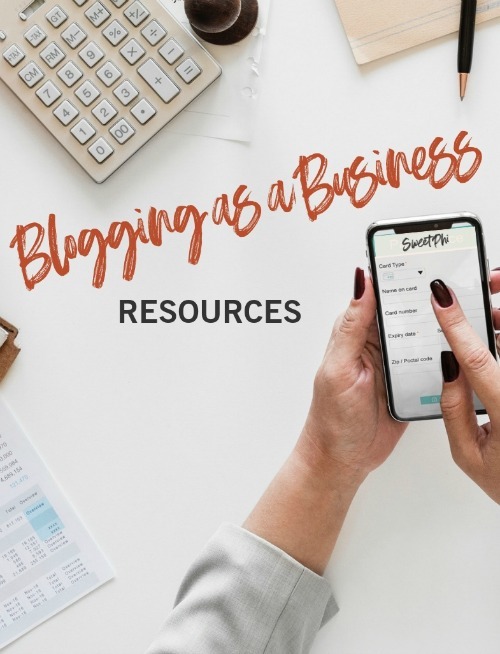 Plus it’s super easy to prepare. Thanx so much for another quick, awesome dinner idea! This was delicious! The salad is so simple and divine, and I added Parmesan to the panko and it really helped keep the chicken most and the panko from burning. 10/10 will make again! Thank you so much for your lovely comment, I’m so happy to hear how much you enjoyed this! I love the added parmesan to the panko!! 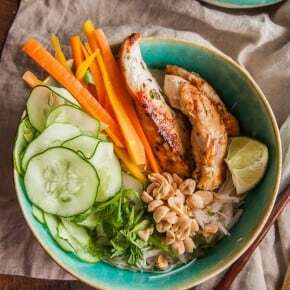 This sounds so good…I’m looking for some healthier choices in my diet, as I’m trying to loose 100 pounds, 50 gone as of now…I’m thinking of making this using grilled chicken. Congrats on the weight loss and best of luck moving forward. This would be great with grilled chicken!